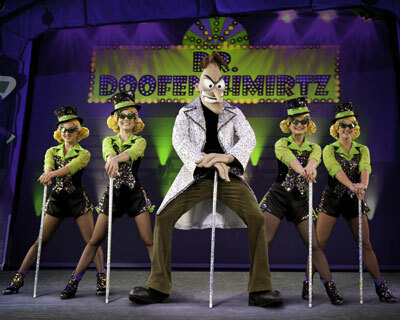 Home » Blog » Family Vacation Destinations » Western States Destinations » Disney's Phineas and Ferb Live Tour is Coming to Denver! Disney's Phineas and Ferb Live Tour is Coming to Denver! “Mom! Phineas and Ferb are going on a LIVE tour!! !” School‘s out for summer and anything is possible as Phineas and Ferb create their biggest invention yet — Disney’s Phineas and Ferb: The Best LIVE Tour Ever! Phineas, Ferb, and the whole tri-state area gang embark on a bold escape jumping out from behind your TV and onto the stage in a live action adventure – right in Denver!From Feld Entertainment®, the producers of Disney On Ice, families can experience the witty humor and upbeat music of the hit Disney Channel series live at the Wells Fargo Theatre February 3 and 4, 2012. Audiences will be whisked on a wild ride as Phineas and Ferb build their way to another over the top, extraordinary adventure. And, before anyone can wonder, “Hey, where’s Perry?” the beloved pet platypus shifts to his secret double life as Agent P to foil another one of Dr. Doofenshmirtz’s evil plans. Musical madness abounds in an escapade so awesome that even Candace can’t help but join the hilarious hijinks. It’s the ultimate end to summer vacation, so seize the day ‘cause Phineas and Ferb are gonna do it all!